Do you have a private or corporate event and want to impress with an out-of-the-ordinary gift? 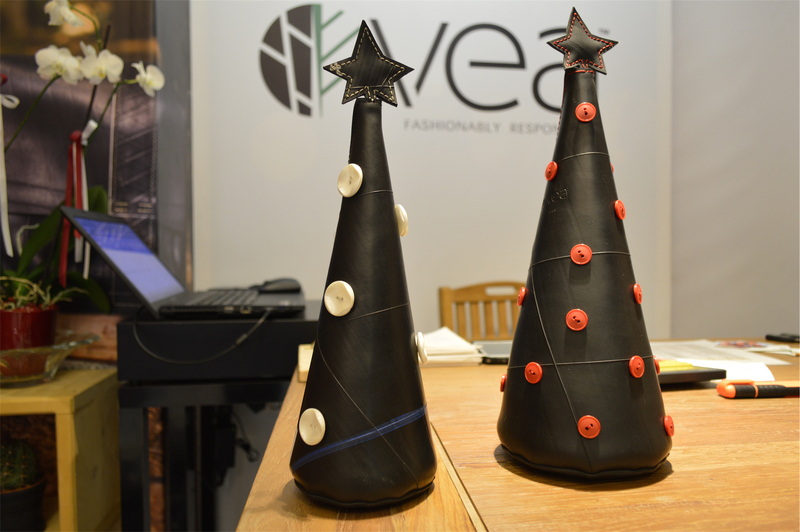 VEA™ can offer you the option to create and customise your giveaway gift in no time! 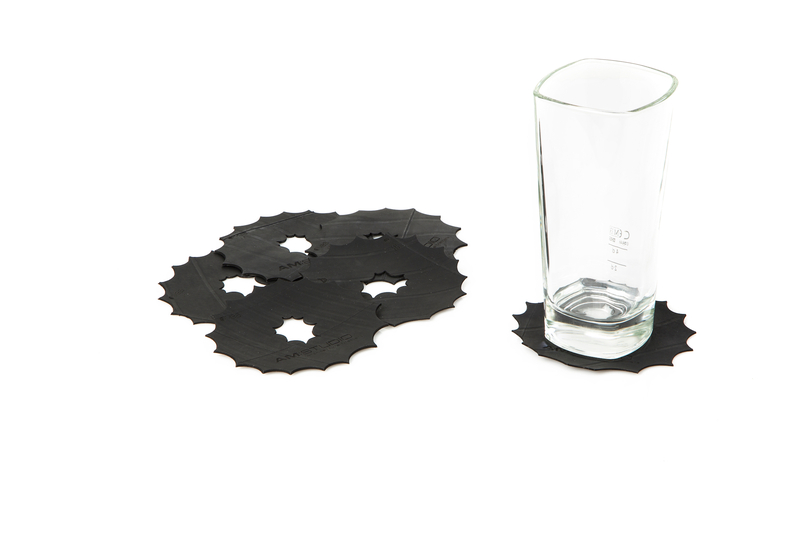 Whether for corporate gifts, exhibition and conference giveaways or private functions, We propose a wide choice of eco-friendly items made from up-cycled with the option of carrying your brand name and message. Choose from key chains, bookmarks, memory stick holders, bracelets, coasters or even Halloween masks, or share your idea with us and our designers will execute it for you. You can find below few samples of previous fulfilled orders. 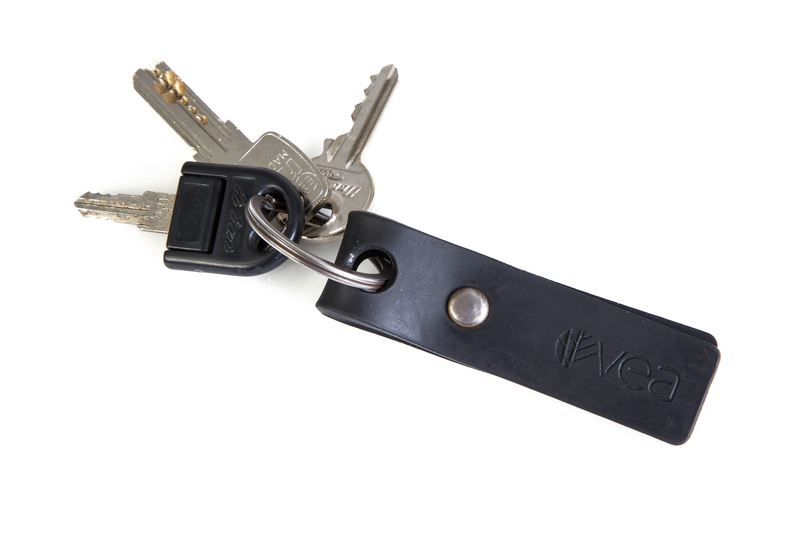 The Key Chain:#BR-KYC 008 a sleek design keychain, with company logo engraved, with Silver or Bronze Rings. Made as a promotional gift for VEA™. Rubber Desk Pot:#CSTM-AMS 275 an exquisite Rubber Desktop Pot, with company logo and/or quote engraved. 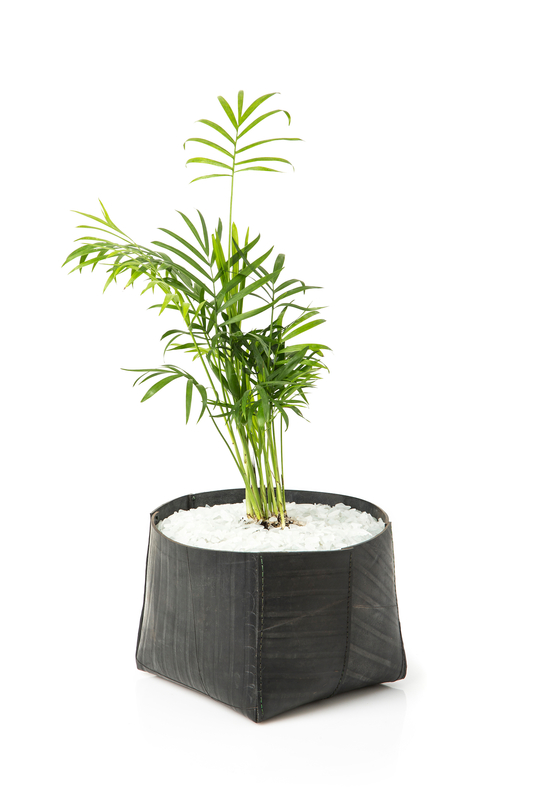 Comes with a 0.75Kg man made glass pebbles for decorating the pot further making it a unique eco-friendly gift. Made for AM:Studio an architectural house, a gift for their end of year VIP customers. Christmas Tree Desk:#CSTM-XMS 140 a gorgeous Rubber Desktop Christmas Tree, with company logo and/or quote engraved, with colored buttons of choice. Sold for home and corporate Christmas gift. 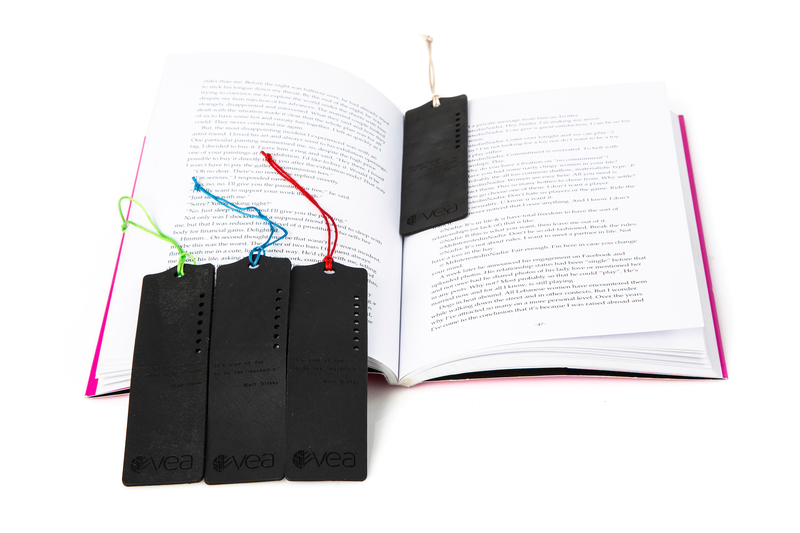 Bookmark:#CSTM-BKM 005 a striking rubber bookmark, with company logo and quote engraved with a colored String of choice. Made as a promotional gift for Zenotel. BC Holder:#CSTM-BCH 034 a remarkable rubber business card holder, with company logo engraved and with bronze or silver snaps. Sold for office use and as corporate gift. Coaster:#CSTM-CSTR 017 a notable rubber coaster with infinite designs (pics show our cactus design coaster), with company logo engraved. Sold for office use and as corporate gift. 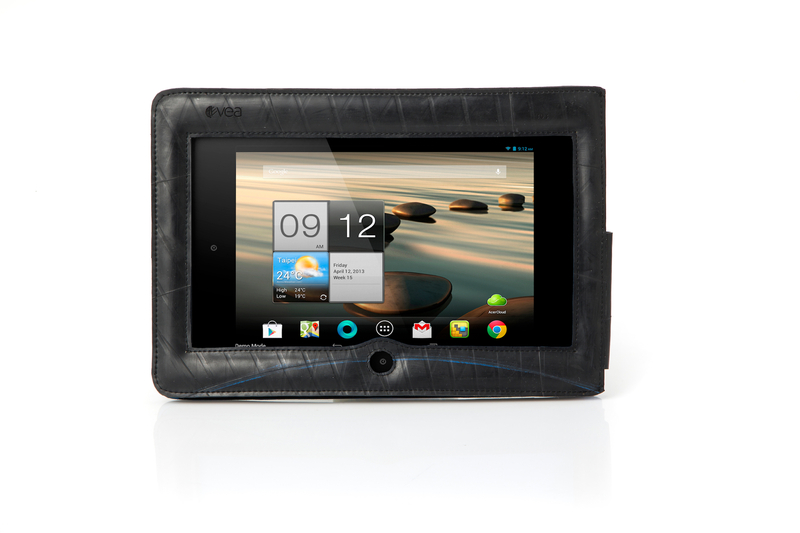 HP Tablet Case:#CSTM-001 303 a custom order for MEDCO’s HP tablets. Shockproof and water resistant, with company logo embroider. Minimum quantities can be as low as 10 items, with a turnaround time as little as 2 weeks. Contact us to receive a quote or to find out more.